On December 8, 1941, the United States declared war on Japan. For the next several years, US Forces were fully engaged in battle throughout the Pacific, taking over islands one by one in a slow progression towards mainland Japan. During this brutal campaign, the Japanese were continually able to break coded military transmissions, dramatically slowing US progess. 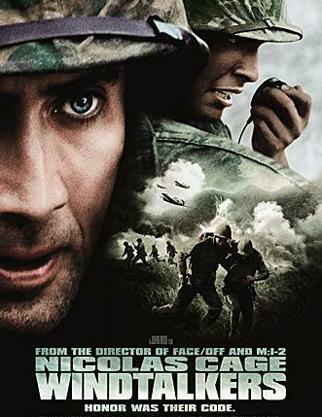 In 1942, several hundred Navajo Americans were recruited as Marines and trained to use their language as code.Marine Joe Enders (Nicolas Cage) is assigned to protect Ben Yahzee (Adam Beach) a Navajo Code Talker, the Marines' new secret weapon. Enders' orders are to protect his code talker, but if Yahzee should fall into enemy hands, he's to "protect the code at all costs".